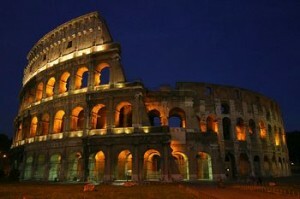 Reason for trip: High school sponsored excursion for 5 days in Rome to study its rich history and culture. The school is partnering with an organization that offers students international educational tours. As the food allergy nurse educator, I quietly observed this interchange. The father looked anxious. Mom, too. The patient, a 16-year-old vivacious and bright young lady named Nicole, stated her case quite eloquently. Nicole has been very responsible in self-managing her food allergies, which started with her reaction to walnut in kindergarten. Her first (and only) episode of anaphylaxis included generalized hives, hoarseness, explosive vomiting, facial swelling and difficulty breathing within minutes of eating an oatmeal cookie containing walnuts. The reaction required prompt emergency room treatment. This episode left an indelible memory for the whole family. Nicole’s parents have asthma and her mother has shellfish allergy. Nicole was diagnosed with asthma at the age of 13, which has remained well controlled on daily Advair® and Singulair®. Thus far, she only requires her Albuterol inhaler during peak days of upper respiratory infections. 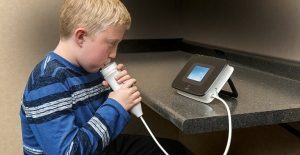 Recent spirometry and fractional exhaled nitrous oxide measurements (FeNO) by the allergy office were normal. Her atopic dermatitis resolved in early childhood. She has no evidence of allergic rhinitis and skin prick testing by the allergist has consistently been negative to common environmental allergens. There have been no hospitalizations or emergency room visits for asthma in the last 3 years. Recent serum IgE testing and medical evaluation by the allergist indicates persistent hypersensitivity to walnut, pistachio, pine nut, and peanut. No allergy to sesame or other seeds. Nicole has avoided all tree nuts and peanuts since seeing an allergist at the age of 5. She delights in reciting her action plans for food allergy and asthma. And she’s always eager to demonstrate how the EpiPen® works during patient education sessions. Nicole’s track record for remembering to carry her EpiPens upon leaving home is excellent. The family understands that asthma and food allergies are chronic conditions which can involve life-threatening episodes of acute exacerbations – especially without adherence to daily management and medication regimens. They accept all this as facts of Nicole’s life. She is a strong self-advocate with an indomitable spirit. Her mother and father are among my many “parent heroes”. Nicole is a superstar patient. Before making a final decision, Nicole’s parents agreed to explore strategies for a departure date in 6 months. They recognize that travel is “broadening” and that such a trip can be a rite of passage for a maturing child. Traveling with Food Allergies: You want to go where? Roma è bella! (Rome is beautiful!) I’ve traveled there. I’m of Italian descent. But I’m not an expert on Italian culture and cuisine. My intent is to provide examples of factors and resources to consider before travel to Italy with food allergies. Families coping with food allergy are already constrained. In 2008, over 400 participants of a Food Allergy and Anaphylaxis Network (FAAN) conference were surveyed regarding vacation planning. Not surprisingly, 42% have fewer vacations. Sixty-eight percent limited their destination with 90% staying within the United States. Carefree spontaneity is typically not part of the traveling with food allergy package. It takes time and preparation, just like at home, only more so. 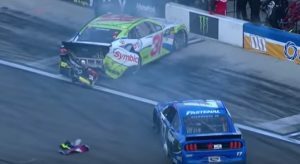 When outsiders are involved, complications can escalate. When schools partner with tour companies, it may involve pre-determined airlines, hotels, restaurants and shops. This can make it easier if they are familiar with the issues, but complicate planning if they aren’t. Anecdotally, many parents rule out school trips abroad due to cost, time conflicts, and concerns about supervision—teenagers can be quite “spirited” on these trips! Others join if they can chaperone and/or if the school nurse is attending. Some participate only if a hotel room has a kitchenette to prepare food. Others forego the school trip and vacation closer to home. Discuss individualized travel risks with health care team members. Confer about strategies for success during the flight and trip. This is vital to finalizing a decision. Discuss the itinerary. Ask questions. Is there a benefit to pre-medication (e.g. antihistamines) before boarding the plane? Would the provider write a letter verifying the diagnosis and need for any special accommodations? The letter should emphasize the need to carry self-injectable epinephrine and other medications, to all parties along the way, starting with airport security. Have the letter translated into Italian. The provider should detail a recommended number of emergency medications for the trip and determine needed prescriptions. Does the physician have medical colleagues in Italy to have as contacts if needed? Copies of medical insurance, pertinent medical history summary, emergency contacts, lists of allergies and medications are also important paperwork to bring abroad. Discuss individualized risks with air travel at the pre-trip medical consultation. Review the airline website and check policies for special health needs. Contact the airline. Confirm that website information is current and accurate. Ask questions. Do they have a food-allergy policy? How do they accommodate passengers with serious food allergies? Do they carry antihistamines and epinephrine in emergency medication kits on board? How do they handle medical emergencies during flights? Secure written confirmation regarding any agreed upon accommodations (e.g. airline will voluntarily not serve peanut/tree nut products). The letter should cover departing and return flights. The student and school chaperone should carry copies of the letter. Consider arriving early to the airport on departure day, to verify that flight staff is informed of special needs. Letters from an airline and/or physician outlining special accommodations does not guarantee a flight free of allergen exposure. Even if an airline agrees to serve peanut/nut free food, it cannot realistically guarantee that other passengers will refrain from consuming peanut/nut products that they boarded with. Have medications (e.g. antihistamines, inhalers, EpiPens®) in carry-on luggage or waist pack. Include copies of current food allergy/asthma action plans and medical paperwork. Storing medications only in suitcases checked at the airport means risking they could be lost or inaccessible during a medical emergency. Communicate clearly with flight staff about medical needs – before and during the flight. Report even a mild allergic reaction to the flight attendant immediately. Whether overseas or home, product ingredient labels for food and drink should be scrutinized before consumption. Remember, anaphylaxis prevention means strict avoidance of the offending food allergen. When in doubt of the ingredients, do not consume the food or drink. When abroad – expect language barriers with ingredient labeling. Italy is covered by the European Food Allergen Labeling Guidelines. Synopsis of the law and good manufacturing practices are available at: http://www.foodallergens.info which is part of EuroPrevall. Since 2000, European labeling guidelines have been amended several times. Recent amendments are listed on the UK website: Food Standards Agency. Currently, product labels for pre-packaged foods must list 14 allergenic ingredients specified in the legislation– including peanuts and tree nuts. However, the law “neither covers foods sold loose nor allergens that enter foods inadvertently”. If a product is unintentionally contaminated with allergens during manufacturing, there is no legal requirement to declare this on pre-packaged foods. Nor are there guidelines on the “appropriate and proportionate use” of such precautionary labeling. Use of precautionary labeling, such as “may contain” peanut traces or “manufactured in a plant” with nuts, is provided voluntarily. According to the EU General Food Law, European manufacturers must be able to “trace and follow food, feed, and ingredients through all stages of production, processing and distribution.” This law also states food must be recalled if found to be unsafe and manufacturers must notify authorities. Anecdotally, because of label ambiguity and anticipated language barriers, many traveling patients bring a backpack with allergen-free foods from home. Families may also ship allergen-free, non-perishable food to the destination hotel. Travelers with serious health conditions should have accessible medical identification. Medic Alert, among other companies, offers bracelets, necklaces and sports bands that can be engraved with medical information in English and Italian. If a medical emergency arises, Medic Alert provides members a 24/7 translator service via a toll-free number. Schools partnering with companies for trips abroad are often assigned a tour guide. The guide should be informed of students with special medical needs. Guides may play a key role in choosing hotels, restaurants, and shops. Confirm that guides know how to access emergency medical services and their proximity to hotels, restaurants and excursion destinations. The more adult chaperones trained in anaphylaxis rescue and informed of a students’ medical needs, the better. A trained chaperone might also carry a set of EpiPens® – especially during day excursions to remote sites. Informed peer travelers can assist with allergen avoidance and may be the first to identify need for medical attention. Partner with the school nurse and/or clinic nurse to coordinate training sessions. The Destination Hotel & Itinerary: Plan ahead! Contact the destination hotel in advance. Communicate directly with hotel management about accommodation policies for special medical needs, access to in-house menu options/ingredients, proximity to medical care, willingness to accept shipped non-perishable allergen-free food, and whether kitchenettes are available for self-preparation of food. Pre-determined company itineraries may be inflexible. Review daily schedules. Ask questions. Explorations to historical sites may involve multiple modes of transportation and stops at museums, shops and restaurants. Consider storing allergen-free food and drink in backpacks and buses. Backpacks can get stolen or lost — have an alternate plan. Carry emergency medications in waist packs. A chaperone or peer traveler may also carry allergen-free food and drink for the food-allergic traveler. Chaperones may consider doing private medication checks with students prior to daily excursion departures. Dining Out: Proceed with caution! The basics for dining out with food allergies are the same abroad as at home. Preparation and communication are key. In advance, review a restaurant menu online. Check if any meal option looks reasonable. Call ahead to determine if the restaurant is willing and able to accommodate food allergy needs. Communicate directly with the manager, chef and wait staff. Ask questions of the person preparing the food. What is there understanding of food allergy? How do they prepare the food? What are all the ingredients? Discuss cross contact and potential for hidden ingredients. Confirm that ingredients listed on menus are the current ones being utilized that particular day. While abroad, it’s often safer to order simple meals. For example, plain boiled pasta prepared using clean utensils – after verifying that tree nut or peanut are not hidden ingredients. Avoid trying new foods when traveling abroad with food allergies. Chef cards communicate food allergy information in English and foreign languages. Share them with chefs, restaurant managers and anyone preparing food for a food allergic student. Have multiple copies for the student, adult chaperones and tour guide. Selected websites offering examples of chef cards in English and foreign languages: Select Wisely and Allerglobal (includes Italian translation for most tree nuts). Chef card templates are also available online at FAAN. Food allergy apps for iPhones can be useful. Examples include: Allergy Translator and Food Allergies-Italian. 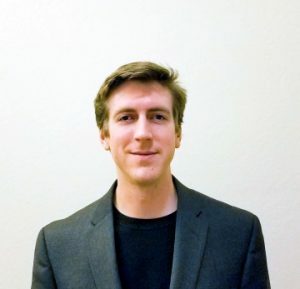 An iPhone app storing emergency medical information and contacts: smartICE. An iPhone app that includes a video about using EpiPen®:MyEpiPen. Adult chaperones might load food allergy apps and the MyEpiPen app onto iPhones as back-up. Have copies of chef cards and other written medical information in case phones are lost, left behind or not working properly. Use of iPhones in Italy may be expensive – budget accordingly. E-Book: Allergen Free Dining in Italian Restaurants by Kim Koeller and Robert La France. Examples of Hidden Peanut/Tree Nut Allergens in Italy: Not an exhaustive list! Tree nuts are a staple of the Mediterranean diet and include almonds, hazelnuts, walnuts, peanuts and pistachios. They are regularly used in many Italian dishes and as snacks. Hazelnuts, pine nuts, almonds, pistachio, chestnuts, and walnuts may be whole, sliced, chopped, ground into a paste, shaved, or powdered (e.g. like flour). For Americans in Italy, the prevalence of tree nuts may be unexpected. For example, certain pastas may contain nut flour. Stuffed pastas may contain tree nut pieces. Breads, biscotti/biscotto, cookies, sauces, soups, baked goods, ice creams and desserts may contain peanut and/or tree nuts. Ice desserts such as granite/granita or gelato, and toppings, may contain peanut and/or tree nuts. In Europe, tree nuts are a frequent cause of food allergy. In Italy, tree nuts are common triggers and peanuts are increasingly so. Compared to Anglo-Saxon countries, peanut butter is not as prevalent. However, peanuts are growing in popularity. In a study on Italian children with food allergy, hazelnut was the 3rd most common allergen to cause reactions, after cow’s milk and egg, but peanut allergy is increasing. 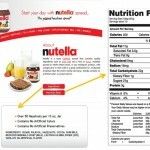 Nutella® is commonly used in Italy. As a hazelnut spread which contains cocoa, it’s often used on toast, biscuits and sandwiches. It may be mistaken as a chocolate spread or may even be referred to as Nutella® chocolate. 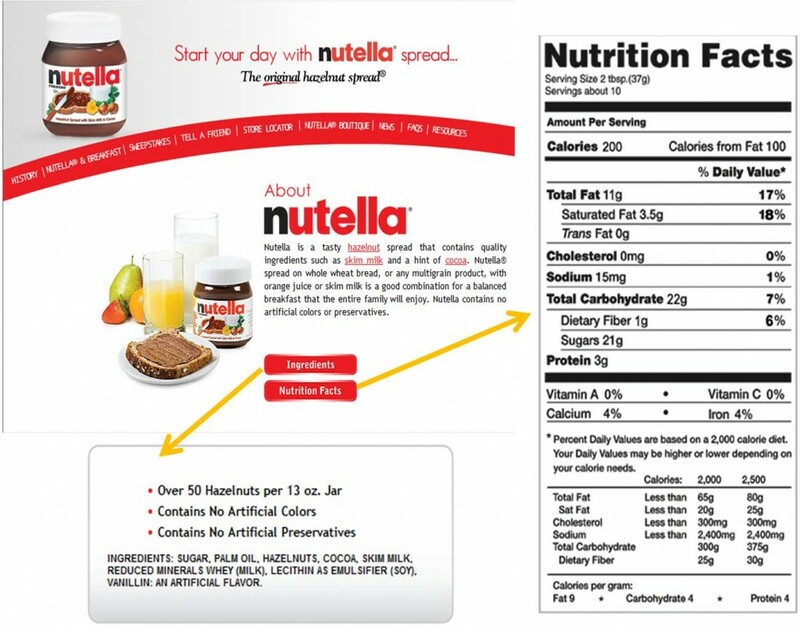 Nutella® may also be used as an ingredient in a variety of recipes including cakes, cookies, cheesecake, mousse, waffles, and other desserts or main dishes. Biscuits and chocolates may contain hazelnuts and other tree nuts. Breaded and/or fried food (e.g. mozzarella sticks, fish or eggplant) and mixes may contain tree nuts and/or a combination of oils (e.g. olive oil mixed with peanut oil) may be used. Pesto sauces often contain nuts, usually pine nut or pignoli nuts, but also walnuts. Hazelnuts are prevalent and can be found in prepackaged foods, pastry and ice cream. 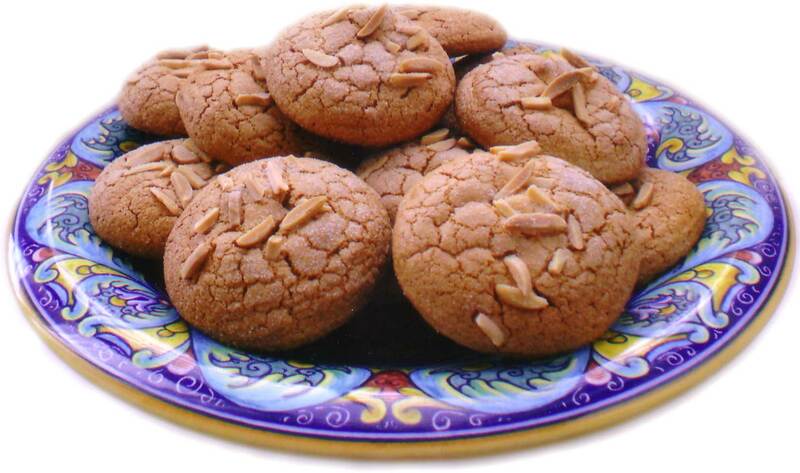 Italian breads, baked goods, pastries and desserts may contain visible or hidden tree nuts. 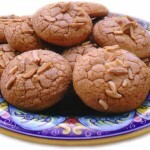 For example, amaretti cookies commonly include almonds or pine nuts. Castagnaccio may contain chestnuts, pine nuts and/or walnuts – whole, chopped or in flour form. Cannoli, anise cookies, panettone, tortes, tarrone, panforte, and tarts frequently contain tree nuts (e.g. almonds, walnuts, hazelnuts). Marzipan typically contains ground almond mixed with sugar and flavor and is then used in many sweets. It also may be shaped and tinted into fruits, flowers and other confectionary decorations. pieces in sliced mortadella, but they may be chopped so small they resemble seeds. 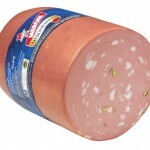 Mortadella is often served cold in thin slices, but may be cubed or used as a hidden ingredient in cooked dishes (e.g. stuffing for tortellini or ravioli). 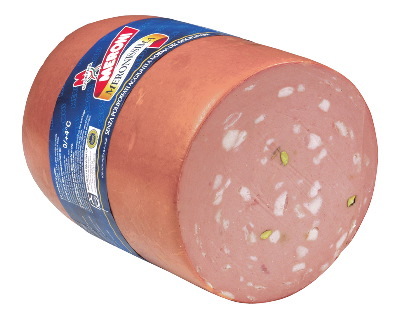 Mortadella may be used in Italian cuisine such as salads, antipasto, paninos, omelets/frittata, gnocchi, pizza topping, cold meat platters, sandwiches, appetizers, or skewer bites (which may also contain pine nuts). Allergen Avoidance and Communication: Avoid assumptions! Abroad or home, it’s about strict food allergen avoidance and clear communication. The presence of tree nuts, peanuts or lupine in food/drink can be visible, hidden, declared or undeclared. Food allergic individuals often seek familiarity in food, restaurant and travel destination choices. When abroad, many focus on simple, recognizable, familiar “English” foods – hoping to increase safety and reduce uncertainty and anxiety. Dining out for food allergic consumers is a high-risk situation. Language barriers complicate communication. Chef translation cards and pre-trip preparation of Italian text that explicitly describes offending allergens and their life-threatening nature may be helpful in facilitating communication. Do not assume restaurant/hotel staff are trained in food allergy and associated needs. Ask questions. Chaperones and tour guides may assist in seeking information. Especially if a students’ social embarrassment concerns are a barrier to clear communication. Food Allergy Italia is an Italian organization dedicated to increasing awareness of food allergy. Email queries are answered in English through info@foodallergyitalia.org. Food Allergy Italia is represented on the Food Allergy & Anaphylaxis Alliance where they share information related to food allergy in Italy. For example: “In Italy, dial 118 or 113 anywhere in the country in order to receive emergency assistance. An ambulance, fire engine, or the police can be requested. 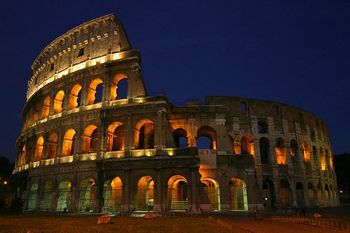 You must specify “anaphylaxis.” U.S.A. citizens traveling to Italy will find information on emergency services and the USA Embassy in Rome at: American Embassy in Italy. Anaphylaxis Canada has a unique website for teens and young adults: Why Risk It: Where Allergies and Real Life Collide. Included are travel stories by teens with food allergies. And a video series, including one on traveling with food allergies – featuring 17 year old Dylan. Trips abroad involve advanced preparation. More so when traveling with food allergies. This article does not address every factor to consider – but hopefully it’s a start. May all who are able to travel to Italy, safely revel in soaking up its culture, history, beauty and ambiance. 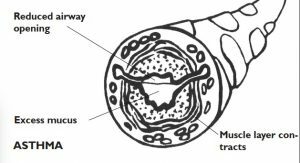 This article was medically reviewed by Joseph A. Bellanti MD, Larry Chiaramonte MD, and Stefano Luccioli MD. 1. Leonard SA, Weiss C, Furlong T, Sicherer SH. Food allergies affect vacation planning. [abstract] J Allergy Clin Immunl. 2009;123(2):S28. 2. United States Bureau of Consular Affairs. http://www.travel.state.gov. Accessed March 24, 2012. 3. Comstock S, DeMera R, Vega LC, Boren EJ, Deane S, Haapanen AD, Teuber S. Allergic reactions to peanuts, tree nuts and seeds aboard commercial airliners. Ann Allergy Asthma Immunol. 2008;1:51-56. 4. Kim JS, Sicherer SH. Living with food allergy: allergen avoidance. Pediatr Clin N Am. 2011;58:459-470. 6. Food Allergy Information. http://www.foodallergens.info. Accessed April 2, 2012. 7. European Commission. http://ec.europa.eu/food/food/foodlaw/traceability/index_en.htm. Accessed April 2, 2012. 8. Brufau G, Boatella J, Rafecas M. Nuts: source of energy and macronutrients. British Journal of Nutrition.2006;96(2):S24-S28. 9. Ortolani, C, Ballmer-Weber BK, Hansen KS, Ispano M, Wuthrichn B, Bindslev-Jensen C, et al. Hazelnut allergy: a double-blind, placebo-controlled food challenge multicenter study. J Allergy Clin Immunl.2000;105(3):577-581. 10. Asero R, Antonicelli L, Arena A, Bommarito L, Caruso B, Colombo G, et al. Causes of food-induced anaphylaxis in Italian adults: a multi-centre study. International Archives of Allergy and Immunology.2009;150:271-277. 11. Calvani M, Cardinale F, Martelli A, Muraro A, Pucci N, Savino F, et al. Risk factors for severe pediatric food anaphylaxis in Italy. Pediatric Allergy and Immunology.2011;22:813-819. 12. Groetch M, Sampson H. Management of food allergy. In: Leung D, Sampson H, Geha R, Szefler S, eds. Pediatric Allergy: Principles and Practice. Philadelphia, PA: Elsevier; 2010:541. 13. Peeters KABM, Koppelman SJ, Penninks AH, Lebens A, Bruijnzeel-Koomen CAFM, Hefle SL, et al. Clinical relevance of sensitization to lupine in peanut-sensitized adults. Allergy.2009;64:549-555. 14. Smith WB, Gillis D, Kette FE. Lupin: a new hidden food allergen. Med J Aust.2004;181(4):219-220. 15. Holden L, Faeste, CK, Egaas E. Quantitative sandwich ELISA for the determination of lupine (lupines spp.) in foods. J Agric Food Chem. 2005;53:5866-5871. 16. Leftwich J, Barnett J, Muncer K, Shepherd R, Raats MM, Gowland MH, et al. The challenges for nut-allergic consumers of eating out. Clinical & Experimental Allergy. 2010;41:243-249. 17. Food Allergy & Anaphylaxis Alliance. http://www.foodallergyalliance.org. Accessed March 24, 2012. 18. Anaphylaxis Canada. Why Risk It. http://www.whyriskit.ca. Accessed March 24, 2012. Anne F. Russell BSN, RN has had a clinical and educational focus on food allergy for over 15 years. She has served as food allergy program coordinator in a university allergy department and was president of a state-wide nonprofit organization that provided food allergy education to the community and health professionals. She’s presented on food-induced anaphylaxis at conferences and initiated state legislative efforts associated with food allergy. As a School Health Director she coordinated individualized allergy and asthma plans, trained school staff on anaphylaxis rescue and provided oversight. Anne served on the FAAN Member Advisory Council and collaborated with FAI. She is a recipient of a FAAN Make a Difference award. Anne completed undergraduate studies in a consortium program with the Medical College of OH/Univ. of Toledo Medical Center and Bowling Green St. Univ. She has done graduate studies toward a Masters in Nursing. Currently she is an allergy/asthma nurse consultant in a private pediatric practice and adjunct faculty in Nursing at Spring Arbor University. Anne is also the mother of a beloved son with food allergies.